Black Friday Web Hosting Deals 2018 - Get Huge Discount On Hosting! It’s that time of the year again! Black Friday and Cyber Monday 2018 are just around the corner. Take this opportunity to save big on your hosting fee this year. Some of the sales have already started. Check out the deals below! 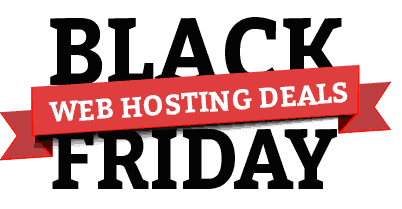 To web hosting brands: If you are offering any Black Friday / Cyber Monday promotions, please contact us here to get listed here. 90% off on shared host. "Awarded as the best cheap host 2018, Hostinger’s 90% discount is a real deal for those who are just starting out. " [45% off] WP speed optimization guide. We receive compensation when you use our links to purchase from the companies whose products we review or share here. Read full details.